When Secondwind was founded in 1989, we set about to be the best we can be for our customers. A critical part of achieving that goal is our commitment to acquiring knowledge through ongoing learning—both on the job and in the classroom. “As a service business, much of our training takes place in the field. However, we make sure all of our water specialists, technicians, and customer service representatives set aside time for classroom learning. This ensures they fully understand the whys behind the hows learned in the field,” says Secondwind Water Systems Founder and President Christine Fletcher. Investing in current and future customers. Steve Guercia, Secondwind Commercial and Public Water Supply manager, says he sees training as an investment in both our current and future customers. “Training is how employees learn everything they need to know about the wide variety of systems we carry. It’s how they know which system is best for a specific application,” he explains. Formal classroom training also ensures that every water treatment system design, installation, and service follows the same best practices. “It’s only natural for people with mechanical and troubleshooting skills to develop their own approaches along the way. Ongoing training ensures that we’re all subscribing to the same standards, which is very important to our company,” Fletcher points out. Ensuring the highest quality service. Guercia has over 30 years of experience in the industry and spends a lot of his time in the field, passing on his experience to others on the Secondwind team. “Some of us ‘have seen it all’ and it’s through training that we can share this knowledge and experience with the newer members of the team,” he notes. Steve says this benefits Secondwind’s commercial customers in many ways. “Our commitment to training ensures that all our customers get a water treatment system that’s thoughtfully designed and installed around their specific water quality issues, business needs, and budget,” he says. 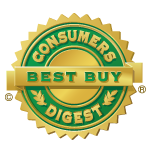 It also ensures that our customers receive the highest quality service and repair on their systems. For example, rather than just replacing parts, our technicians have the knowledge and skills to quickly and efficiently make repairs in the field. This can save our customers a tremendous amount of time and money—particularly manufacturers and other businesses whose operations rely on clean, quality water. “The costs associated with our commitment to ongoing training—including taking staff out of the field several days per year—are significant. But it’s an investment we make for our customers,” Guercia explains. Secondwind Commercial Certified Water Specialist Greg Sereni, along with Commercial Technician Matt Miller, and Process Engineering Manager Jon Chadbourne recently attended a two-day training in Connecticut with Kinetico’s commercial technical services team. They discussed new product releases, specifically commercial reverse osmosis (RO) Systems, both large and small. They also learned about Kinetico’s commercial line of backwashing filters and softener systems, which go from 5 gpm up to 500 gpm! Clean, neat, and powerful: A recent Secondwind installation of a Kinetico Hydrus Series system, which is non-electric, high flow, and high efficiency. The team spent a lot of time training on the Kinetico Hydrus Series systems which is their non-electric, high flow, high efficiency, two-inch full port filter and softener valve. The training involved a lot of “hands-on” activities, including system teardowns and rebuilds. 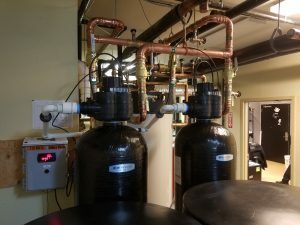 “As someone who primarily designs, sizes, and configures these systems for our commercial clients, it was valuable for me to see how these systems work inside and out,” Sereni says.“We learned a lot during our time there and look forward to using this training to benefit our customers,” Sereni adds. “Through our ongoing training, we ensure that Secondwind stays on the cutting edge of water treatment systems technology and service. This provides a tremendous benefit to our commercial customers, especially those who rely on pure, clear water for their manufacturing process,” Guercia points out. “In the end, a company is only as good as its people. At Secondwind, we invest in our people every day by ensuring they take time away from the field to complete industry trainings and certifications. It’s all part of what we call The Secondwind Difference,” Fletcher says. With over 30 years of experience, Secondwind is New Hampshire’s leading provider of commercial water treatment systems. 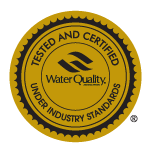 If you have a water quality problem at your business, give us a call at (800) 287-5767. We’re happy to come out and provide a free site assessment. Want to learn more about the Secondwind Difference? Visit our website today.